These are the current members of the Transglobal World Music Chart. The members are individuals and they are not representing their media unless otherwise indicated. If you want to contact the administrators for other issues, click here. To contact the members individually, check their individual contact information below. Mundofonías radio show, La ruta de las especias (Radio Clásica – Spain’s National Radio), El palabrero (Radio 5 – Spain’s National Radio). On the air since 1987 and from that moment on involved in radio, print and online media related to world music. 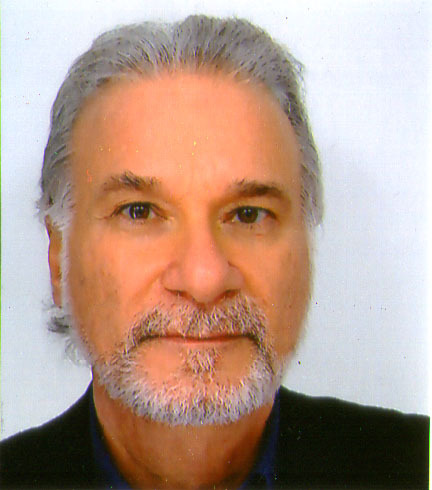 Co-director of Mundofonías radio show, “one of the best programs of music from all over the world” (Gerald Seligman), broadcasted on 46 radio stations in 17 countries, including major Global urban areas like Mexico City, São Paulo, Madrid, Berlin, Lima, La Paz, Hamburg, San Juan de Puerto Rico… He hosts and hosted different shows on RNE (Spain’s National Radio): El palabrero, La ruta de las especias, Mil mundos, Temas de música: Gamelán, En concierto, Portugaleando... Jury of Premios MIN de la Música Independiente, Folkspot Denmark and Premio Andrea Parodi. Compiler of The Ultimate Guide to Spanish Folk and author of scholar publications related to music and linguistics issues. Ángel Romero has been writing about world music and progressive music for many years. 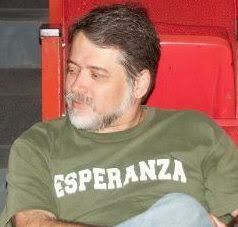 He founded the websites worldmusicportal.com, worldmusiccentral.org and musicasdelmundo.com. Ángel also produced and remastered world music and electronic music albums, compilations and boxed sets for Alula Records, Ellipsis Arts, Music of the World, Lektronic Soundscapes, and Mindchild Records. He was also the executive producer of the first Latino feature film made in North Carolina. Araceli Tzigane is a cultural entrepreneur, working in two main areas: media, with Mundofonías, a radio show broadcasted in 16 countries in Europe and America, as the main project, and collaborations in other media (Spanish National Radio, El País, Musicasdelmundo.com…); and management, working with world music from Spain and Portugal and also bringing foreign artists to the Iberian Peninsula as director of Mapamundi Música. Her main interest is to explore the ancestral roots of music and to find the ways to keep it alive, being useful for people in the current times. Seth Jordan is a Sydney-based music journalist, festival consultant and radio broadcaster. 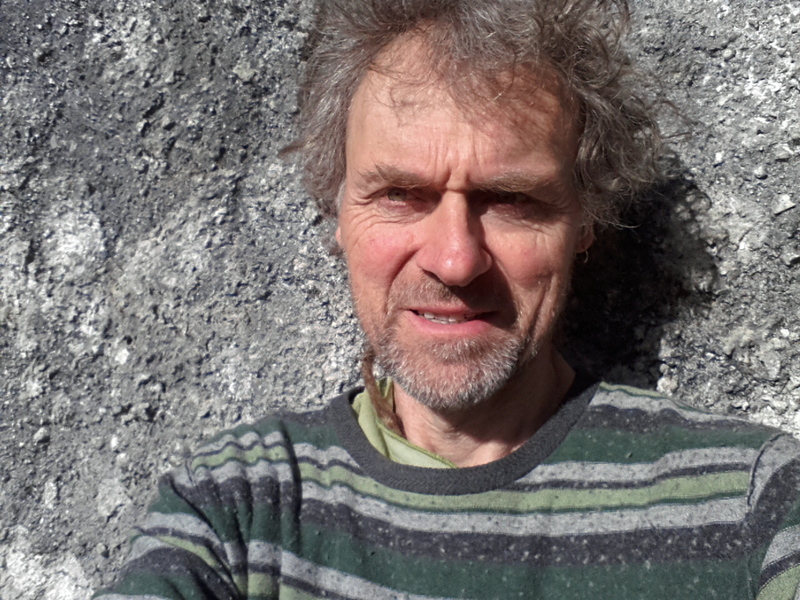 He’s the Australasian/Pacific correspondent for the UK-based World music magazine Songlines, and regularly contributes features/reviews to Australia’s roots magazine Rhythms. 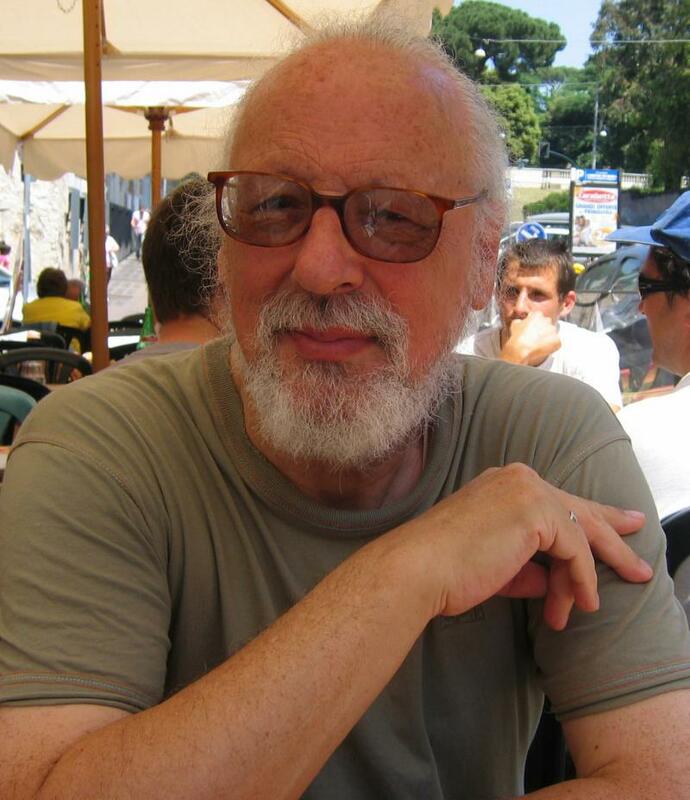 He was Coordinator/Editor for the book – World Music: Global Sounds in Australia (UNSW Press 2010), and wrote the Aussie chapter for the latest edition of The Rough Guide To World Music. He is a Stage MC for WOMADelaide festival and the Australasian Worldwide Music Expo (AWME). 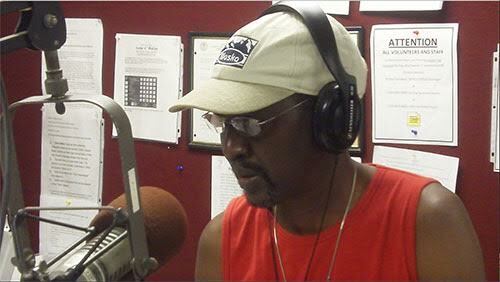 His national world/jazz radio programs The Tiki Lounge and Radio Babylon won the Community Broadcasting Award for “Excellence in Music Programming”. 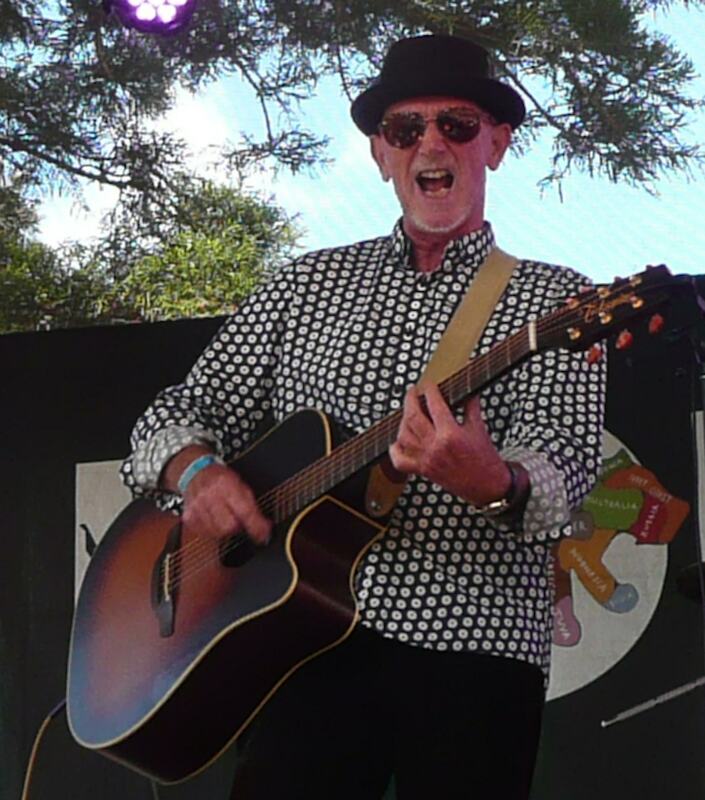 Tony Hillier is based in Cairns in tropical north Queensland, from where he has been actively involved in all areas of the music industry in Australia for the past 30 years, primarily as a journalist writing about world, folk and other forms of roots music for local and national publications. 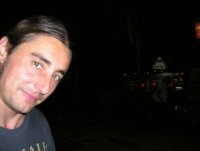 Also a broadcaster and working musician, he co-founded the acclaimed band Kamerunga, which has performed at every major festival in Australia over the past six years, including WOMADelaide and the Byron Bay Bluesfest, and represented Australia at the 2011 Rainforest World Music Festival in Borneo. Nigel Wood has presented “Ear to the globe” on Dublin City FM for over 12 years, providing a comprehensive guide to new World Music releases and visiting artists. He also presented three series of World Music programmes on the Irish national broadcaster RTE Radio 1. 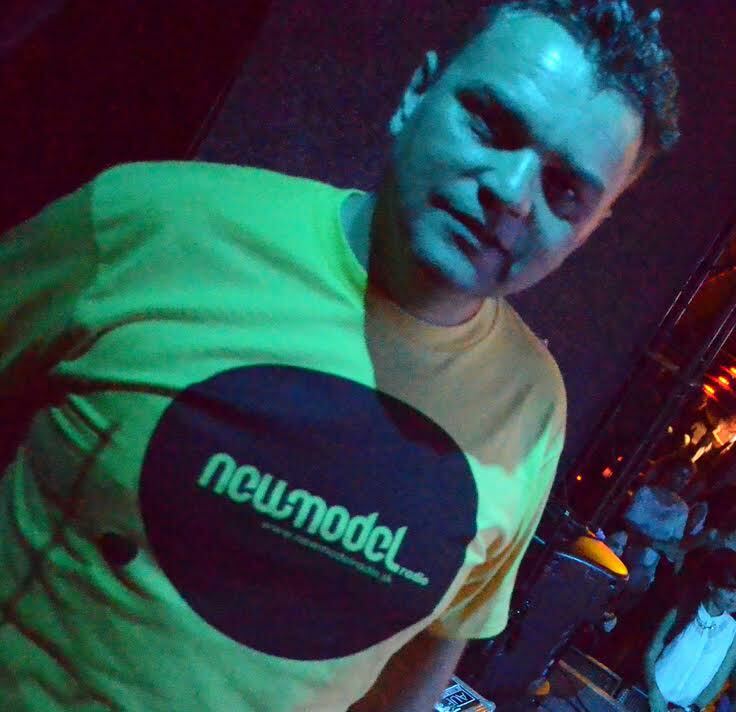 He has run the Wicklow Dance Club – World Music for the dancefloor- for 20 years in various venues, and provided music for many events, gigs, festivals, parties, clubs and charities. Nigel also writes CD reviews for The Irish Times. Mt Alto House, Ashford, Co.Wicklow, Ireland. One of the most creative and versatile programmers in radio, Dore is an advocate for cross-pollinating music. 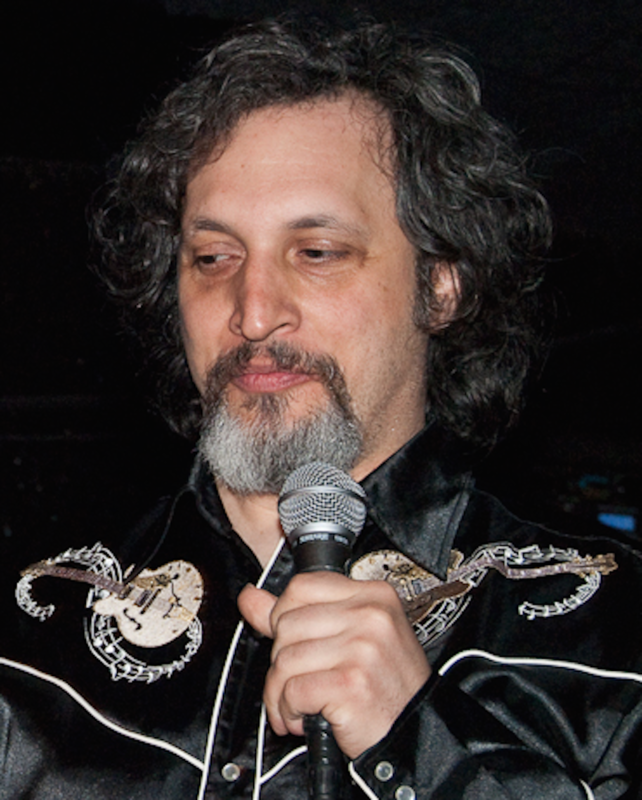 He is producer/host of Tangents, a program that explores the bridges connecting various styles of music, including world and roots music, and creative jazz hybrids. Stein’s unusual background bridges commercial and non-commercial radio, dating back to commercial free-form rock radio at legendary WQBK in Albany, New York. Stein began Tangents at Bay Area jazz outlet KCSM in 1985. Stein brought Tangents to KALW (SF, 91.7fm, kalw.org) in 1995 and later to Paris based Mondomix.com and is currently webcast on Berlin based Multicult.fm. Beginning in 2005 a new chapter emerged as Dore began his producing Tangents Turkey Music Tours. 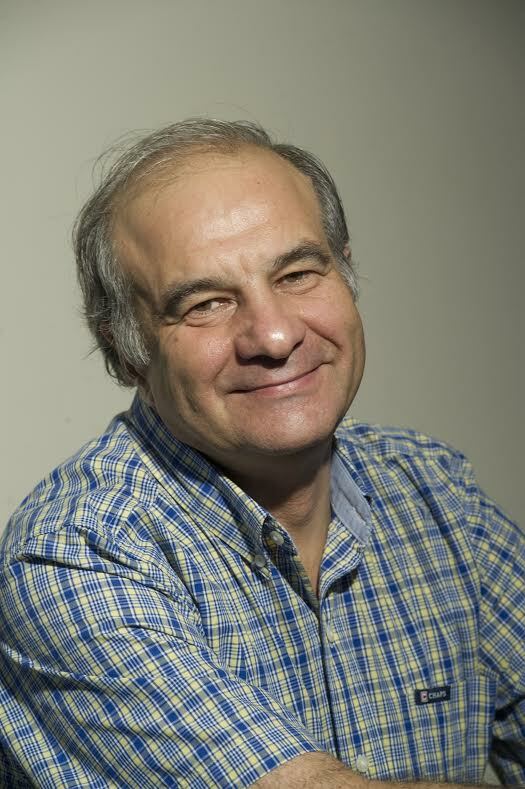 Roger Holdsworth has presented the Global Village program on Melbourne (Australia) community radio station PBS 106.7 FM since 1989 – though included global music as a presenter of the station’s Mainly Acoustic program since about 1982 (the term ‘world music’ hadn’t emigrated to the southern hemisphere at that stage). The Global Village is a weekly 2-hour program of tradition-based music from around the world, presenting new collaborations and challenges, as well as ongoing explorations of deep traditions. 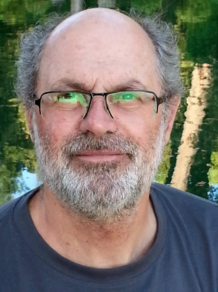 Roger is an educator by background (was a teacher of Mathematics and Physics… and of teachers) and so his relationship with an audience is both educational and provocative… exploring what it means to be part of a vibrant, welcoming, respectful and curious multicultural community. 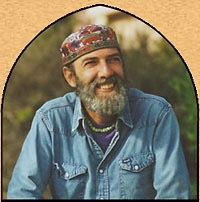 I’ve been hosting for the last 24 years, a weekly radio show called “Crossing Continents” on KDVS in Davis, California. with emphasis on Middle Eastern, Mediterranean, Indian sub-continent, East European and Central Asian music. 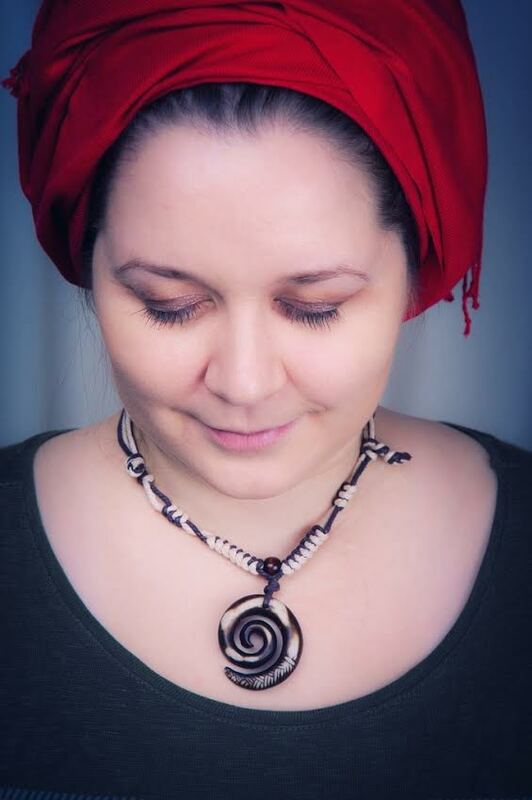 My main focus is on Traditional music(Classical and Folk) but I do include contemporary arrangements to traditional material and new material inspired by tradition. I’m also the Co-Director of our music dept. 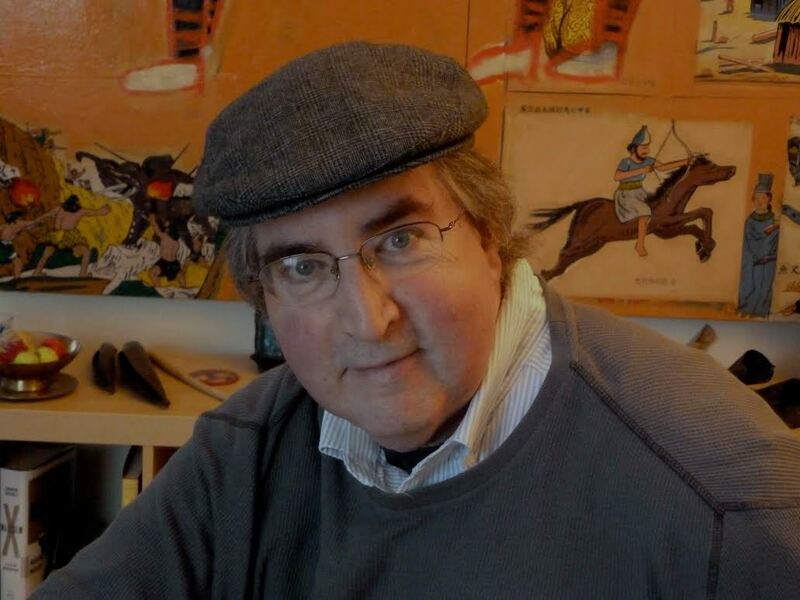 Chicago native Chris Heim has worked in commercial and public radio and as a newspaper and freelance music writer (Chicago Tribune, Utne, Global Rhythm, Dirty Linen, JazzTimes, Jazziz, and Option, among others). 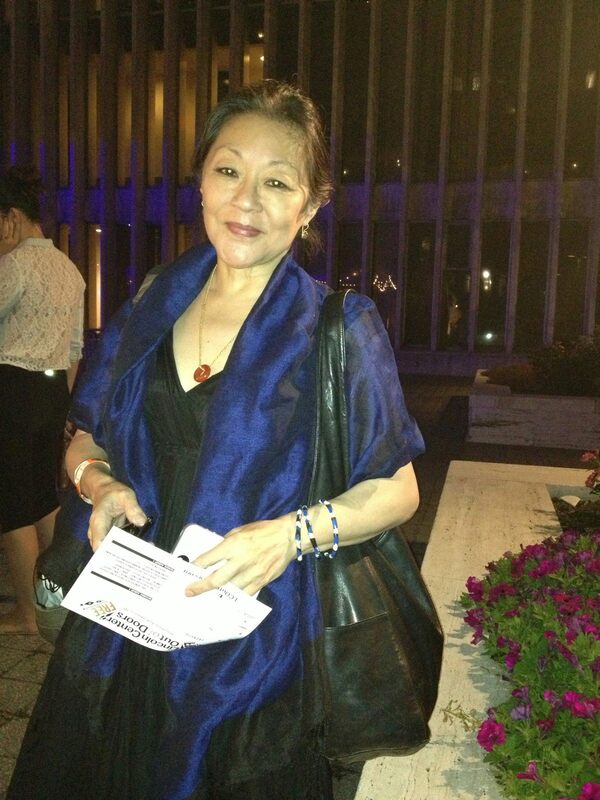 She has produced world music shows since 1989 and in 2010 began national/international distribution of Global Village. To date the show has aired on over 220 stations in the U.S., Canada and New Zealand; in 2013 won the About.Com Readers Choice Award for Best World Music Radio Show; and has been among the Top Five most distributed national series on PRX every year since it was offered. 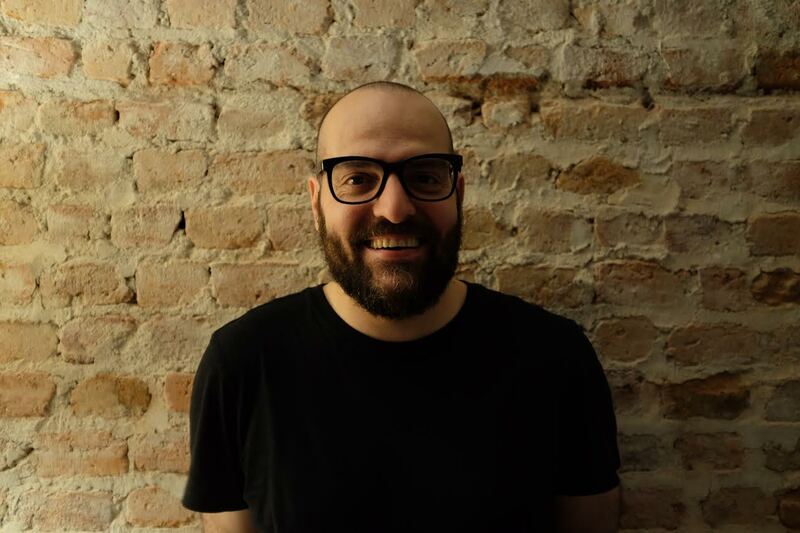 Born and raised in Napoli (Italy), Ciro De Rosa, Ph.D. in Cultural Anthropology, is a music journalist and English teacher in the Italian Secondary School. His addiction to traditional and world music scene started nearly 30 years as a radio host. Currently, he’s editor-in-chief of Blogfoolk. He contributes to Il Giornale della Musica, Songlines and Il manifesto. 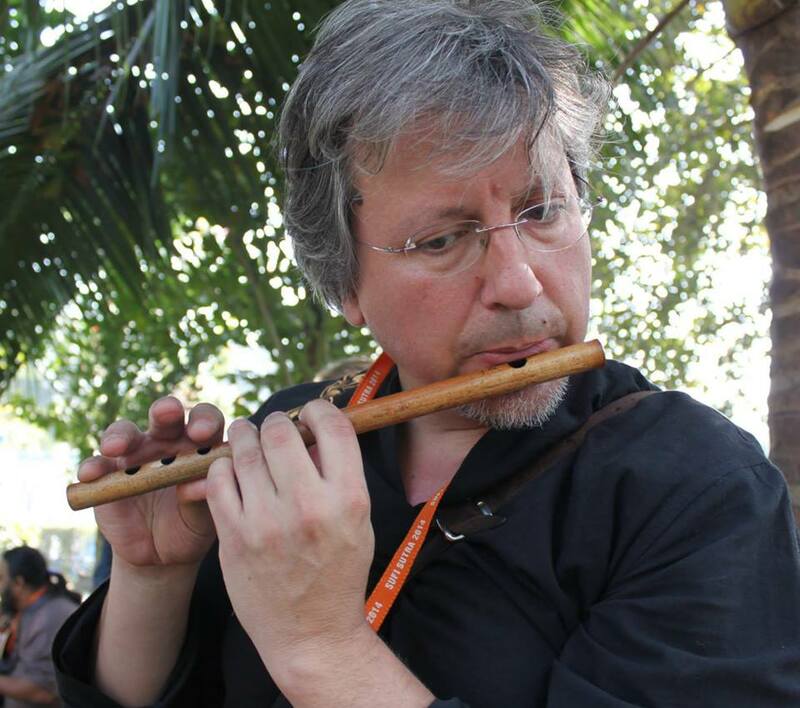 He takes part in Critic Juries for Italian traditional music and world music awards. Formerly editorial staff member of the now late World Music Magazine, he’s written for Folkbulletin, published academic essays, held seminars, lectures and CD and book presentations, selected tracks and provided sleveenotes for albums. Scott Stevens, a proud, moist Washington State native, has been a radio DJ since 1998, though he’s urgently been trying to get people to listen to him since he was very, very small. He writes for the world music blog SoundRoots.org and hosts the show Spin The Globe on KAOS-fm. When not on mic, he works as a commercial photographer. Hendrick is a broadcaster with the wealth of twenty years experience with Radio Television Malaysia (RTM) as a Programme Producer. 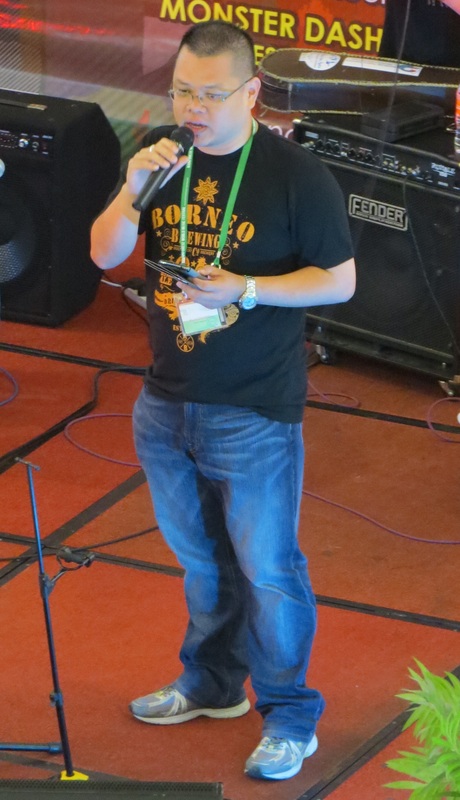 Presently he is producing a daily radio show which can be heard throughout the state of Sarawak. Hendrick is also an experienced Master of Ceremonies (MC) for various events and functions. Hendrick has been the Official MC for the Award Winning Rainforest World Music Festival from 2006 to 2015, one of the top 25 Best International Festivals in the world as listed by Songlines Magazine. In 2007 and 2008, Hendrick also hosted the Penang World Music Festival. In 2014, Hendrick was selected by the United States of America’s premier exchange programme, The International Visitor Leadership Programme: Edward R. Murrow programme for Journalists. 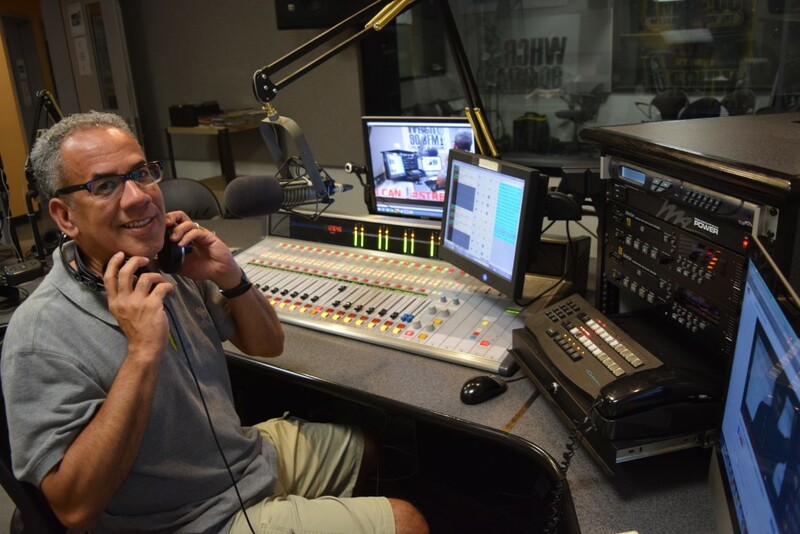 Cliff has been a producer of local and regional radio programs in Connecticut since the 1980s and currently broadcasts weekly on WPKN FM in Bridgeport. He is the editor and publisher of the first dedicated online music magazine, RootsWorld, which began publishing in the early days of the internet, before we had a “web.” RootsWorld Radio is currently broadcast on a number of FM and online radio stations around the world. Host/Producer, Transpacific Sound Paradise on WFMU, broadcasting to the New York City metro area and streaming worldwide from Jersey City, NJ, US. On 91.1 fm and streaming via www.wfmu.org. Rob Weisberg hosts Transpacific Sound Paradise, the “peerless world music show” (Time Out New York) heard Saturday evenings on radio station WFMU, 91.1 fm in the NYC metro area and online at www.wfmu.org/playlists/tp. The show features recorded and live music, interviews and occasional live remote broadcasts. And, sometimes, content from far-flung events like Malaysia’s Rainforest World Music Festival. Rob’s online concert calendar (www.wfmu.org/world) is an essential resource for NY area world music fans. Rob has also produced world music segments for public radio and written for various publications. His day job: Promotions Producer for WQXR-FM in New York. Toni Polo has developed several intercultural initiatives about music, documentaries, migration and identity since 2002. Journalist, anthropologist, Dj, filmmaker and cultural promoter he has lived and work in places as Lisbonne, Buenos Aires, Bamako, Valencia or Istanbul before move to Paris in 2011. He is the co-founder of the global music platform Groovalizacion since 2008, with collaborators and radioshows in more that 20 countries around the world. As filmmaker and Dj he has been selected at Womex in 2009 with a documentary on Moroccan music and in 2013 for an official showcase. 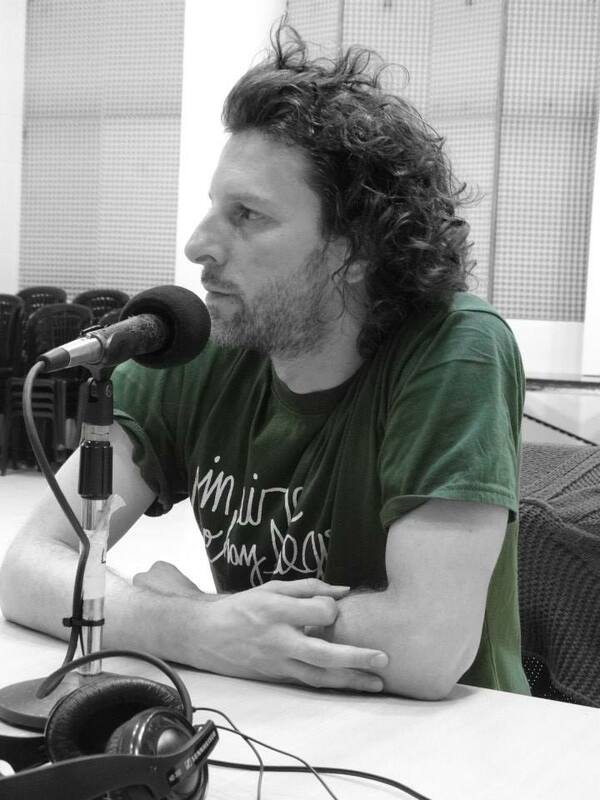 Nicolás Falcoff (1977, Buenos Aires, Argentina) graduated in Philosophy at U.B.A (Buenos Aires University); he is also musician, producer and radio broadcaster. 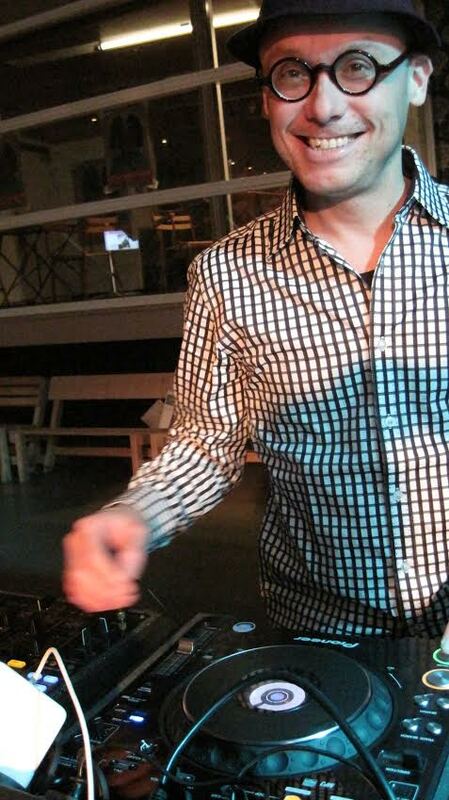 Since 2002 develops his own record label “Sura” and worked as producer with artists like Eva Ayllón (Perú), Petrona Martínez (Colombia), Quique Sinesi (Argentina) among many others. 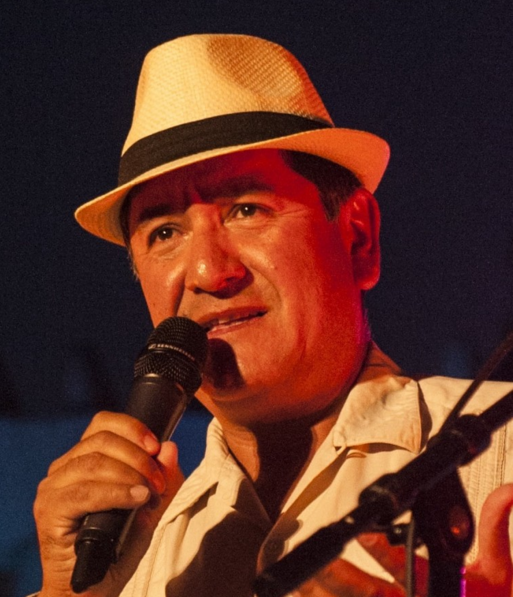 He released 3 albums with “La insurgencia del Caracol” his singer-songwriter project. As radio producer and announcer, in the last 15 years he has been making different radio shows dedicated to world music. Working as a freelance music journalist for over 40 years, wrote many books in japanese, DJ for NHKfm radio program ‘World Music Time’ from 2000 to 2012, teaching the history of popular music at Tokyo College of Music. I’m a fan of good music… Since 2003 I’m the director and presenter of Demésenllà, a weekly two-hour program focused on the many genres that make up the so-called world music and other sounds alternatives, such as racially mixed music, folk, ethnojazz, blues, new age, among many others. Information and opinion, calendar of musical events, presenting news, interviews and sometimes acoustic music sessions live from the studio of Matarò Ràdio. Mar Afuera – Radio show at Quisqueya FM (Dominican Republic). Every Sunday from 7 to 9 PM. certv.gob.do; Musicasdelmundo.com; Bluemonk. Born in the Dominican Republic. Lived in NYC for 21 years and I live in Tampa, FL since 2005. I have worked for several media outlets as a freelancer. Diario La Prensa, El Globo, Impacto, Listin USA, Listin Diario, Hoy, Columbia House CD Club, New York Latino and Vista USA (Los Angeles). Exposed Cuban music in the 90s when Hispanics papers were afraid to cover any Cuban act or group. I have been involved with Quisqueya FM in Dominican Republic for more than 15 years on and off. 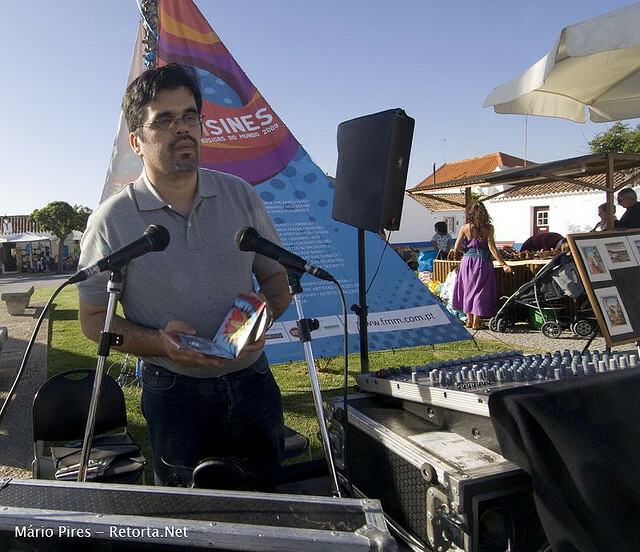 Luís Rei is a Lisbon radio producer and host, reporter and a webzine manager. He’s one of the oldest world music journalists based in Portugal who covers European folk, Nordic experimental music, Asian, African, Latin American roots music etc. Terra Pura radio show, broadcasted in 7 local and online radio stations in Portugal (Zero, Miróbriga, Solar, Sesimbra, RUM), Spain (RCFM) and Brazil (e-Paraná), was established in 1995 and Crónicas da Terra webzine was established in 1997. Globalwize Radio Show on Radio X (Greater Frankfurt Area). Started DJing (Reggae & African Music) organizing concerts (baptism of fire: Youssou N’Dour in 1984). Writing on music since then (1989: WeltBeat, the first German book on contemporary world music). In 1997 one of the founders of Radio X. A&R and PR at Network Medien (WorldNetwork, Desert Blues,…), CEO of Essay Recordings (Shantel,…). 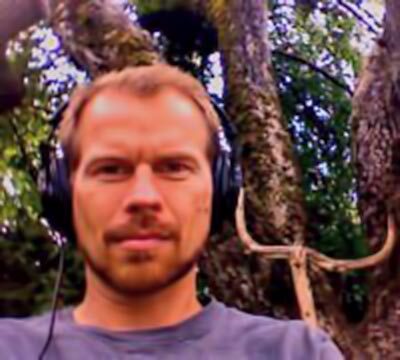 Since 2013, Jean Trouillet works as a freelance consultant (Danish sampling kings Den Sorte Skole) and manager for bands (Jewish Monkeys) and labels (Greedy for Best Music). Management consultant, producer, and writer/editor with focus on international socio-economic development and broadly related cultural programs. She is currently producing an international Sufi Culture Festival scheduled for 2016 touring in London and North America. She has provided advice to UNESCO’s Culture Sector and has served as a National Endowment for the Arts selection panel member for the National Heritage Fellowships Awards. She has worked with the Mexican Cultural Institute on projects dealing with cultural diplomacy in the U.S. She has also acted as advisor to several other arts and cultural organizations, including Brazil’s Bahia Secretariats of Culture and Tourism, Mali’s Festival Sur le Niger, and the Fes Festival of Sufi Music. 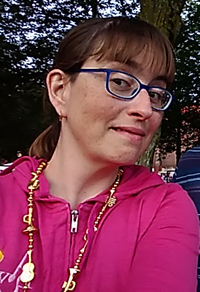 As a writer and editor, Evangeline regularly contributes feature articles on global arts and cultures in various American and international publications. Mailing Address: P.O. Box 1555, New York, NY 10276-1555, U.S.A.
Born 1953 in Herne, Germany; studied political science and social sciences and worked as a teacher until 2014; long time local coordinator for the german UNESCO-schools-network; organized concerts with musicians from Madagascar at his school; now living in Luxembourg; always a fan of good music (at first Blues, Rhythm & Blues, Beat, Irish Folk, Ska, Jazz, Classic); for years bassist in a rock band; lightly worldmusic-infected in 1991 by at concert of the Klezmatics and heavily during a visit to Madagascar in 1997; since then interested in and collecting music from all parts of the world – no limit, if it bears a specific cultural character; since January 2015 presenter of the world music show “Mondophon auf Radio ARA” on the independent and multicultural radio station “Radio ARA” in Luxembourg. 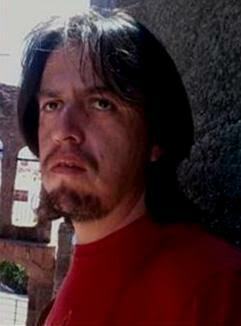 Based in Los Angeles, California, and a native of Xalapa, Veracruz, Mexico, Betto is an independent radio producer and host of “The Cosmic Barrio”, a world music podcast heard here: The Cosmic Barrio – Episode 1 and on his website: www.bettoarcos.com. 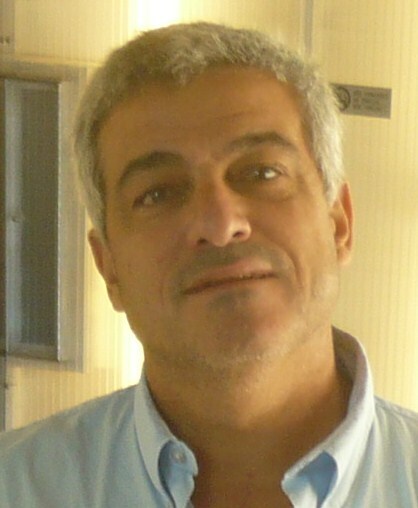 Betto is a freelance reporter for National Public Radio and PRI-BBC’s The World. Since November 2009, he’s a regular contributor to NPR’s Weekend All Things Considered reviewing Latin and world music. Working in radio since mid 80s, I came to what is called “worldmusic” in the early 90s. Since that time I managed to meet and interview many artists from Europe, Africa Asia and North- and Latinamerica. As an average record collector, I am always searching for the best groove. My aim is to convince my listeners by the pure joy of music, where ever it might come from. But I have to admit, that many of my best loved records are African ones. Alejandro López works in various areas of world music. 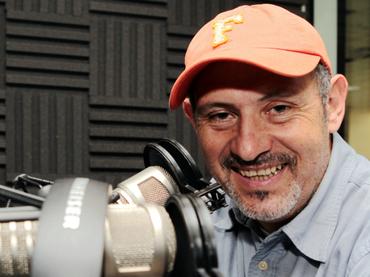 He is a director and presenter since 2008 La Vuelta al Mundo en 80 Músicas radio show, broadcasted on 22 stations in 6 countries (Spain, Germany, Argentina, Mexico, Colombia and Costa Rica). As Mr. Alekrisna, he is a founder of Colectivo S.U.R. (Sindicato Underground del Ritmo), a DJ’s collective dedicated to bring the world music for the dance floor. He is also a chronicler and photographer for national and international world music festivals. 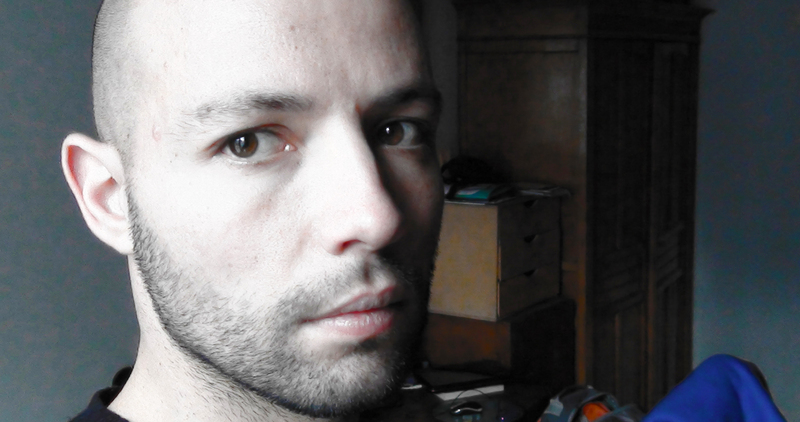 He has worked for Ritmos Étnicos magazine and currently collaborates with the B!Ritmos online magazine (Barcelona). 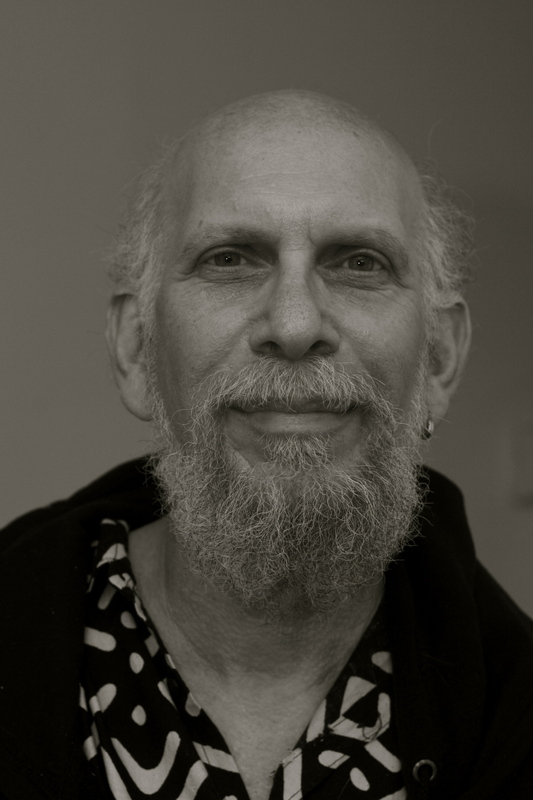 Jon Kertzer is a veteran radio host and producer in Seattle, USA; his radio career began in the early 70’s, and he started a world music program on KEXP (then KCMU) in 1984. He has continued to broadcast world music programs over the past thirty years, and currently is co-host of the “Music of Africa” weekly show on KBCS-Seattle. He is an ethnomusicologist who has worked in all aspects of the music business, as record label executive, artist manager, and concert and festival promoter. Kertzer has produced and compiled several African recordings for Smithsonian Folkways, Sub Pop/Next Ambiance and other labels. 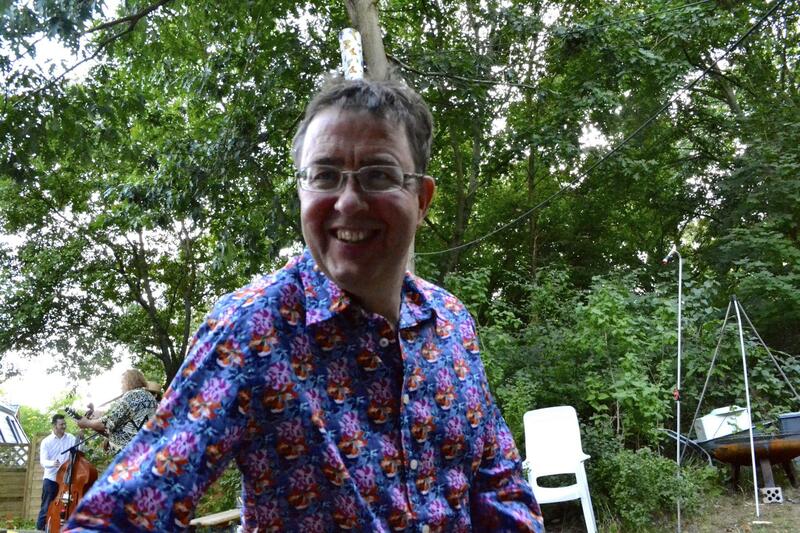 Ken Stowar has been presenting the weekly 3 hour radio show Global Rhythms on the University of Toronto radio station since 1989. 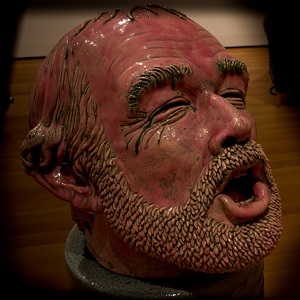 The show has played a significant role in bringng the diverse talents of many Canadian artists to the forefront. Ken truly believes that music has the power to change the world by opening up our hearts and minds. He believes that music not only helps us to celebrate our differences and unique cultures but it also reaffirms our similarities. Ken also serves as the Station Manager and Program Director for CIUT and has been a member of the Juno Nominating Committee for the World Music Album category since its inception 25 years ago. 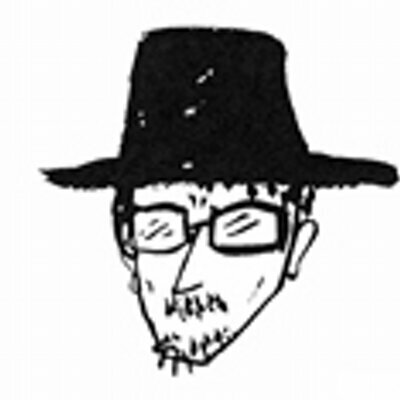 I am freelance music journalist and I have written articles for music magazines. Then I have own radio shows (Czech Radio Praha and Ostrava) and I am dramaturg big Czech Colours of Ostrava music festival and a cooperator Folk Holidays Festival Namest nad Oslavou. I have interested in world music and folk for a long time. I am producer showcase Czech Music Crossroads. 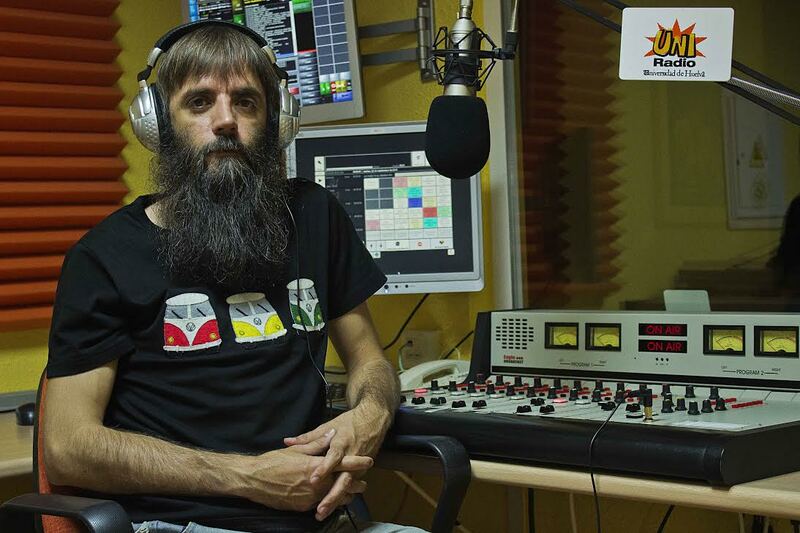 He has been hosting for the last 23 years, a weekly radio show of tradition­based music from around the world called “Tradisom” on Radio Diana, in Évora, Portugal. 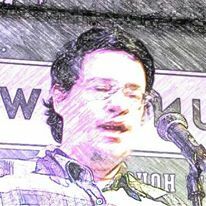 Co­founder of CBFwebRADIO on cbfwebradio.com, an “English speaking” real Web Radio that only broadcasts traditional, folk and world music 24 hours per day, with linear content (like a “normal” radio), made with editorial quality content. CBFwebRADIO is contributing to build a better future for Traditional and World Music, showing new issues and proposals, promoting the music which cannot usually reach the “traditional media” contributing to promote the access to lots of musical treasures. 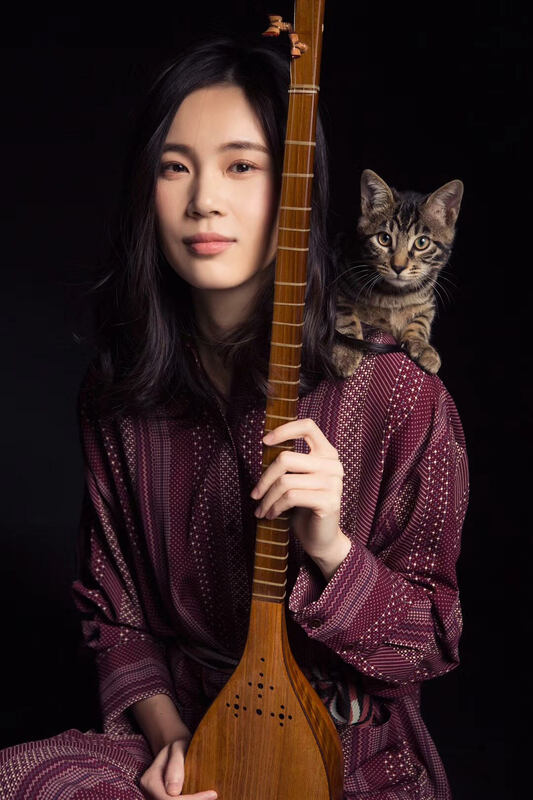 Mu Qian is a performing arts curator, freelance journalist, and PhD candidate in ethnomusicology in School of Oriental and African Studies, University of London. 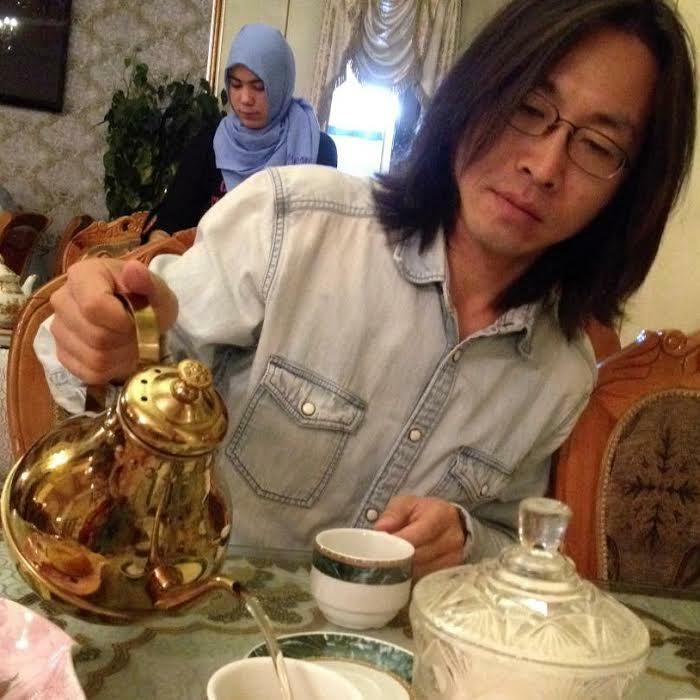 Mu has served as Music Director of World Music Shanghai and Post Mountain Music-Art Festival (Beijing), two major world music festivals in China. 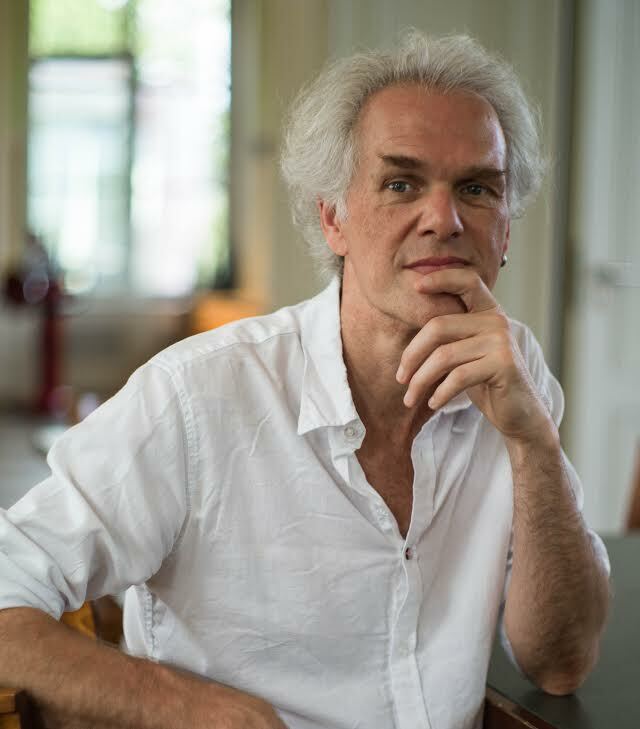 He has also produced concerts for many international festivals, including Hong Kong Arts Festival, Asia Festival (Barcelona) and Internationales Festival für Vokalmusik “a cappella” (Leipzig). As a music journalist, Mu contributes to media such as China Daily and Financial Times’ Chinese website. Anna is a music journalist, writing about folk and world music, sometimes also about jazz and rock music. Her articles, interviews, announcements and reports are published at Jazzquad.ru and Apelzin.ru (russian internet media). She was a music consultant, editor and one of the organizers of the ethnic festival “Music over the River” (Dubrovitsy, Podolsk, Moscow region). Develops an independent journal about music without any genre or style borders. 106fm Tel Aviv, Jerusalem Sacred Music Festival. Producer & Host of “Bonjour Africa” which started twenty years ago at WNCU 90.7 FM in North Carolina. He taught African Film & Music in Duke University. He became the advisor of festival organizers, Emcee of all the big concerts in North Carolina, and has interviewed all the major African artists. 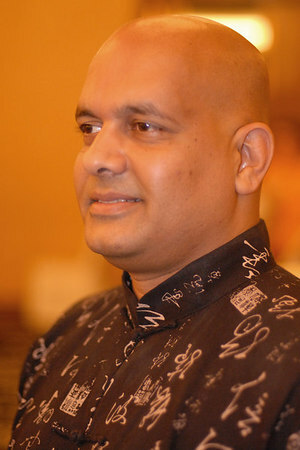 He has co-hosted the World Music Festival at KKUP in San Jose, California, and was interviewed by Voice of America. In 2012 Bonjour Africa started being carried by the National Public Radio (NPR) satellite system in the USA, and in Puerto Rico. In 2013 he decided to move to his country (Senegal) where he produces his show for the same stations. 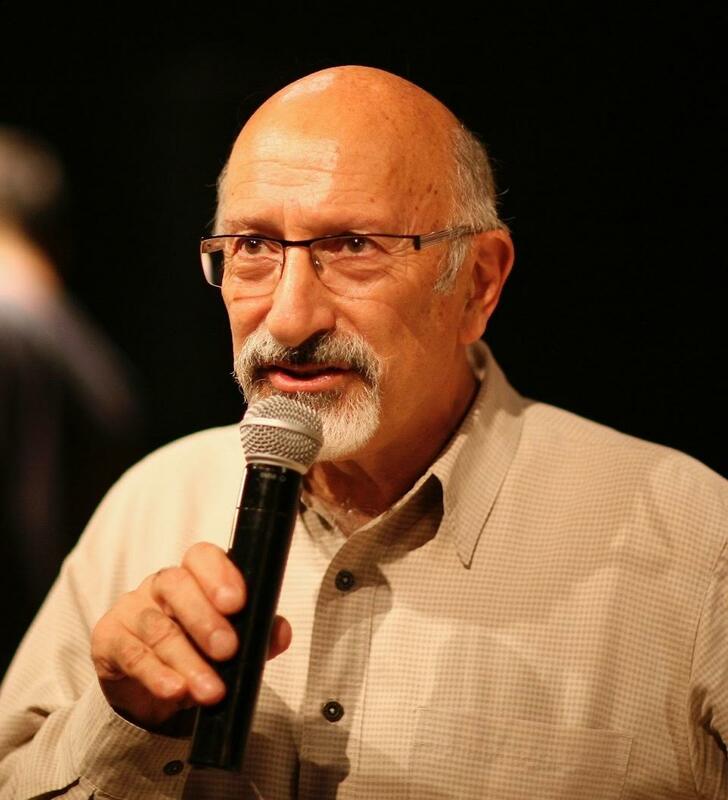 Kutay Derin Kugay has been an avid record collector for over 50 years (recently donated nearly 500 rare world music 78 rpm records to the UCSB archives), has been hosting Music of the World program at KPFA in Berkeley, CA since 1988 and recently at Acik Radyo in Istanbul. 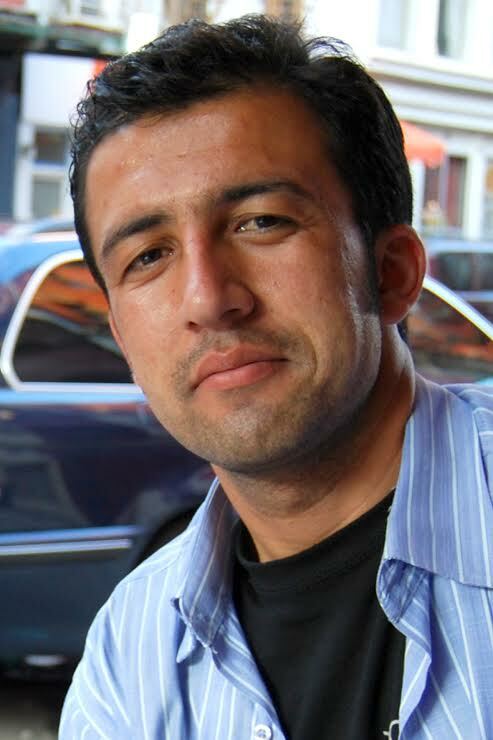 Trained as a filmmaker; owner of 7/8 Music Productions; he’s the cofounder and director of SF World Music Festival for 10 years; founder of Green Yayla and Black Sea Music Festival; consultant for Gola NGO in Turkey; and founding director of nowruzinternational.org project. 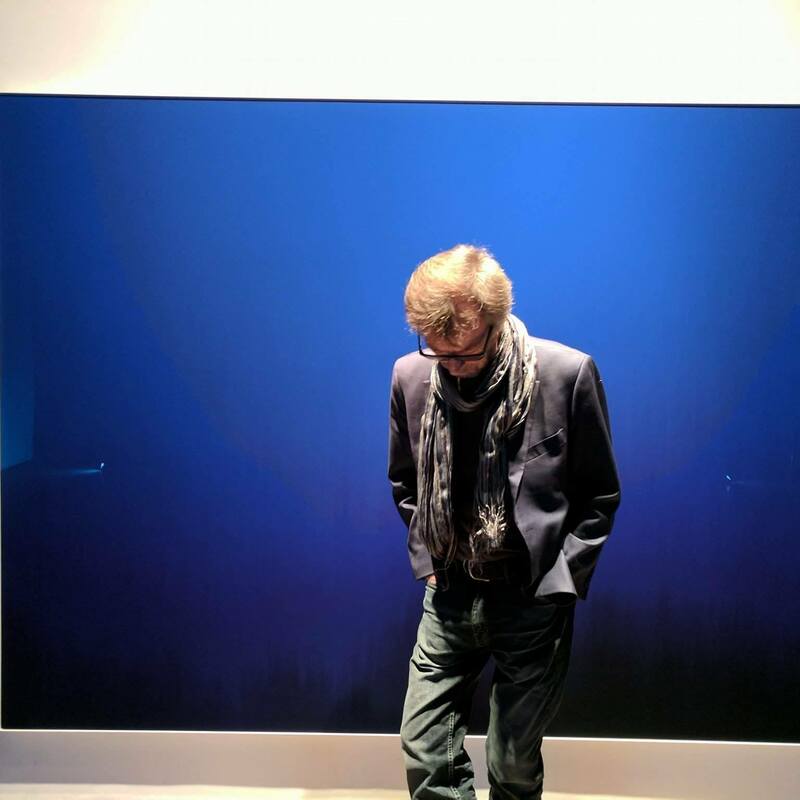 In radio, having interviewed some of greatest musicians of our times, he features music from around the world; focusing on Asia, Africa, Caucasus, Balkans and way beyond. Robert Gregor started like a DJ in the middle of the 80ies. Later he established Gregor Agency – G.A. Records in 1992 and also worked like a music publisher, producer and manager . Under this brand he published a lot of compilations and albums from Slovak music scene. 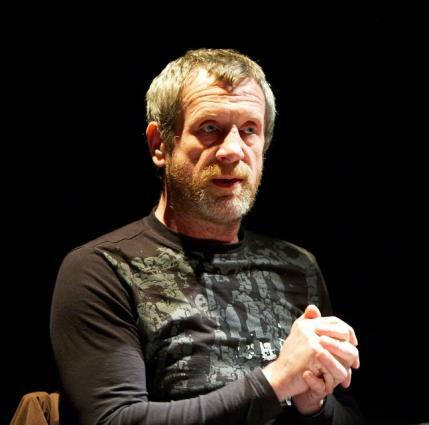 He dramaturged and moderated radio programs about world music and alternative scene on Slovak Public Radio, Rock FM Radio, Radio_FM and local Radio Ragtime. In the years 1999 – 2011 he was a member of a jury EBU in the prestigious music charts albums called World Music Charts Europe (WMCE). In the year 2014 he established New Model Radio. He has also occasional journalistic activities in various magazines. Born in Mexico City, lives in the city of Chihuahua at the north of the country (border with Texas, USA). Musician (percussionist), photographer, cultural reporter, short story writer, survivor of the war vs narcotrafic, involved in Metrica Radio as a columnist. 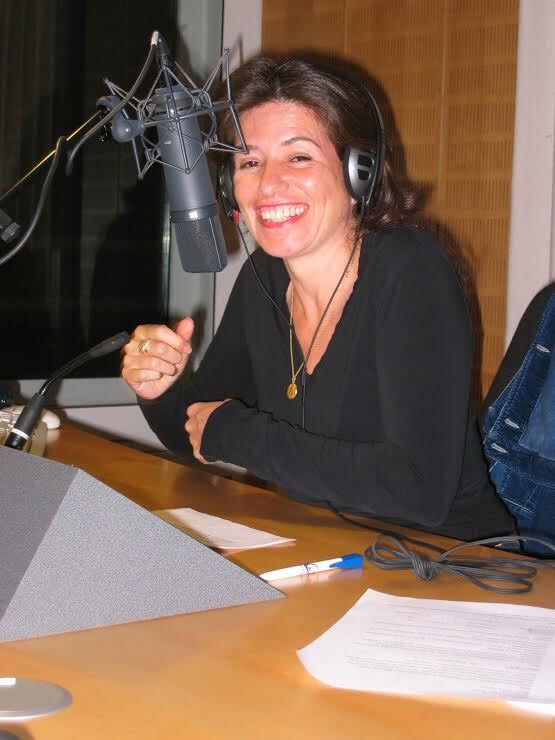 In 2014 founded Radio Taiffa, the world music program with flamenco and jazz and worked as an announcer and reporter for Radio Voces de mi Región. In 2015 created the online radio station Radio Taiffa with world music concept, and works as a producer, broadcaster and director of the same. Yatrika Shah-Rais is a veteran in the music field, having worked in various capacities as radio host and producer, concert curator and presenter, artist manager and booking agent. 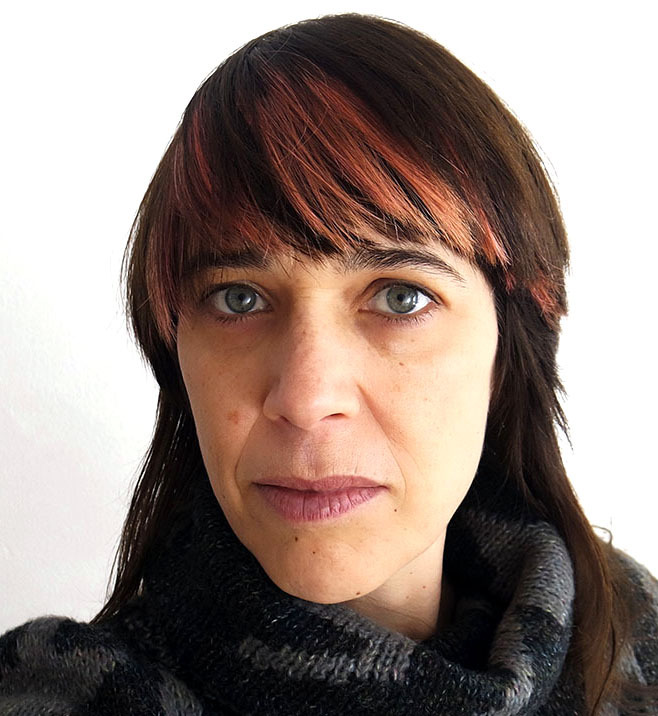 She is the former Concert and Tour Coordinator at NYC’s World Music Institute and Music Director of the Skirball Cultural Center in Los Angeles. She has been hosting and producing an eclectic radio show on Los Angeles’ KPFK’s Global Village since 1998. She also freelances as music consultant and is the editor of World On A Note, an online platform for music, the arts, and culture. b.January 20, 1956. Institute of Foreign Languages, married, two sons, big fan of jazz and avant garde folk music. Organizer of many music events. Journalist, critic, writer. 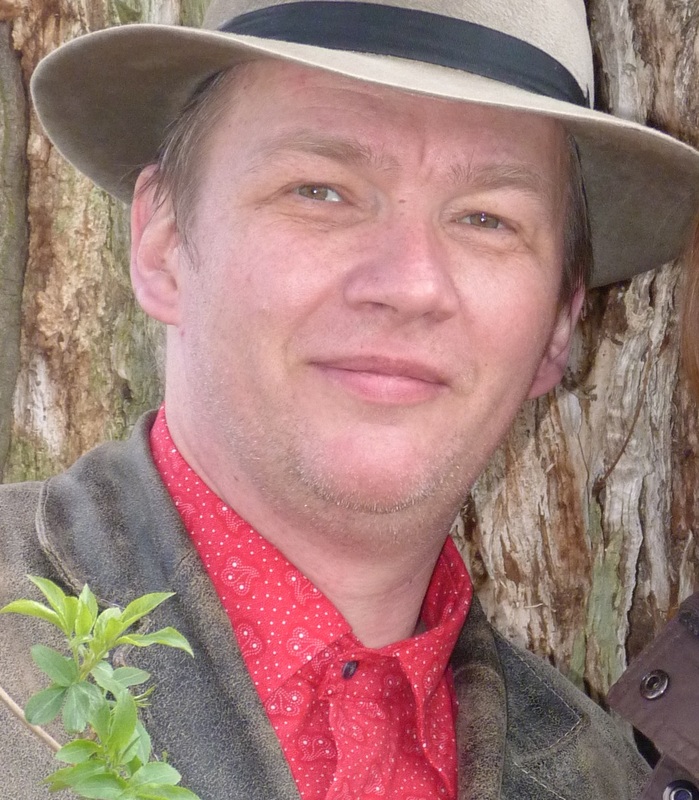 Musician, journalist and teacher, writes since 2000 for Folker magazine. Folker is Germany’s only print magazine for folk, singer/songwriter and world music. Since 2015 he is responsible for the reviews division. As an artist he published several cds with the ensemble White Canvas and as soloist. In 2014 he founded the small record company newhearland music. 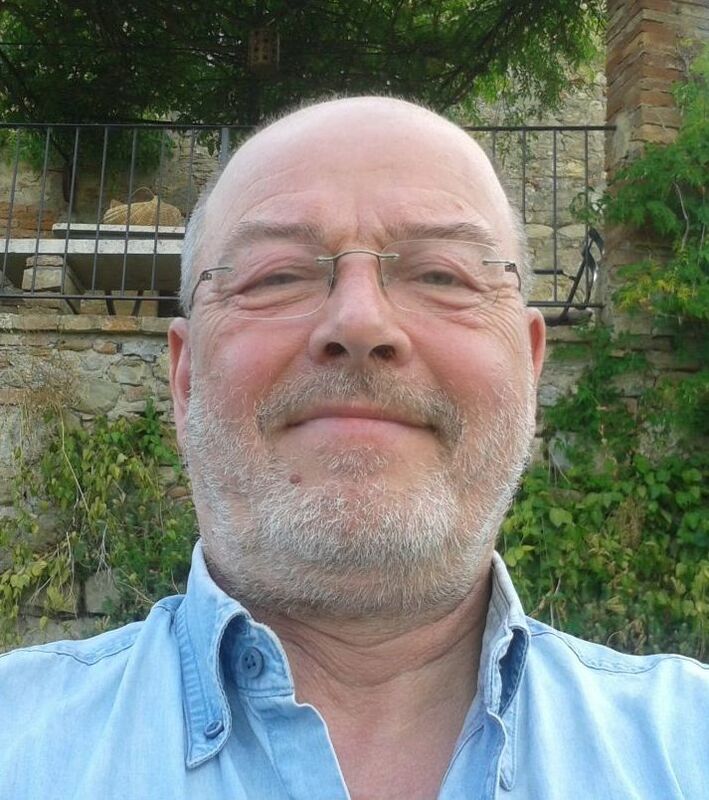 French freelance music journalist involved in the world music networks, François Bensignor is a founder of the Zone Franche network, and contributed to many press and online medias, such as Mondomix. Author of books on Fela Kuti, and on Kaneka from New Caledonia, and films on Breton singer Alan Stivell and Congolese star Papa Wemba in Kinshasa, he directed the Larousse Guide to World Music and contributed to the Rough Guides to World Music. Head of the Traditional & World Music Information Center (CIMT) in Paris, France (2002-2014), he was the editor of 7 world music directories. Since the nineties I am busy as a world music-journalist, mainly working for German Broadcast WDR, whose activities had a huge impact on the national and international music scene. I presented a bunch of different music programs, like Matinee der Liedersänger, Musikpassagen, WDR 3 Musikkulturen. On Funkhaus Europa I hosted the concert program World Live. Since 2016 I’m participating in WDR 3 Jazz & World as a Radio DJ exploring exciting multicultural crossovers. Eleni Ziliaskopoulou, M.A., alias Elenita DeLa Santa Piedra (fb) is a Greek radio producer and a German teacher who was born an raised up in Germany. As a child she was influenced by her grandparents who used to listen to Balkan and Turkish music, born in Adrianoupolis (Edirne), in north west Turkey, close to Bulgaria. Following her pathos for music she is travelling around. Currently she is based in the southernmost town of Europe, Ierapetra in Crete. 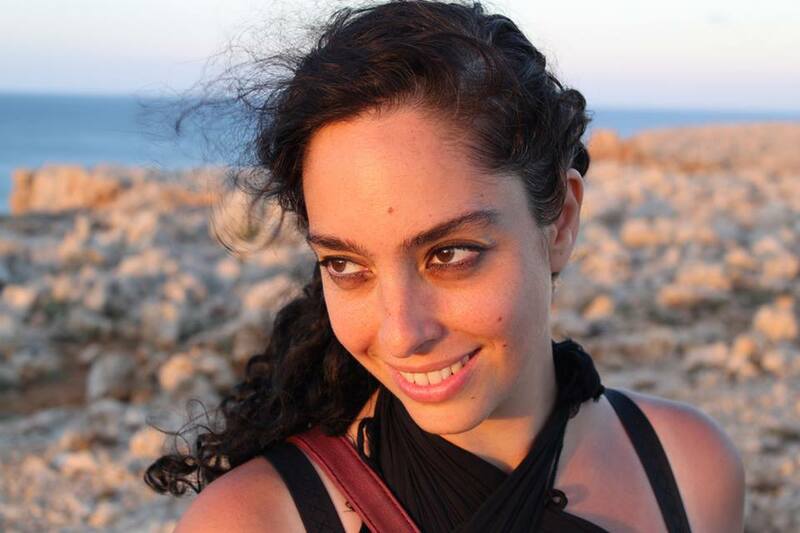 Since 2008 she is hosting artists and presenting new releases from around the globe in her weekly world music broadcast show: Μουσικές Του Πλανήτη_Planet Music, on Planet Radio 90,6 FM. I am ethnomusicologist, working in the field of music journalism and music critic. As the editor-in-chief of the Serbian world music magazine Etnoumlje I work since 2012. That’s my lovely space for inciting creativity and research. 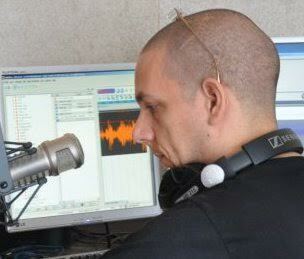 To work on radio is also ideal job for me, because of its dynamics and possibility to play with the music. On Radio Belgrade 2 I am employed since 2008, as author and host of the radio show named Od zlata jabuka (Golden Apple), also as a music critic of festivals, concerts and new CDs, and as a DJ. Jaïr Tchong (Nijmegen, 1973) studied journalism and history in Utrecht. Tchong started to write for OYE! Listen in 2000, followed by Het Parool, Amsterdam evening newspaper, and De Groene Amsterdammer, weekly national magazine. For the Melkweg and the Tolhuistuin, he worked als music programmer. In 2011 he began working for Music Center the Netherlands (MCN), the national institute for classical, jazz, pop and world music. For MCN he organized Dag van de Wereldmuziek (Rotterdam, 1st December 2011) and Dutch Jazz and World Meeting (Amsterdam, 4th-6th October 2012). Since october 2016 he works as a cultural journalist for 4 Dutch websites: cultureel persbureau, reporters online, blendle.com and mixedworldmusic.com. Follow him on Twitter (no facebook) and Word Press. I, Tiago (with my brother George), have been writing and recording podcasts on music from different traditions for more than a decade in Brazil. I also have been traveling to listen the music of the world and singing Irish and Brazilian songs in clubs and sessions whenever I can. That’s all folks! Zekeriya S. Şen is devoted to culture; to experience the “other” ways of listening, living, observing and travel. A devoted passionate of world music. He has been hosting Dünyayı Dinliyorum at 94.9 Açık Radio for the last 10 years, where he spreads the love of World Music. Owner of www.tikabasamuzik.com where he writes about world music, album reviews, musical encounters and culture; General Manager of Fest Travel where he send travellers to all over the world; an astronomer; freelance music critic and travel writer for national papers and magazines; a fanatic collector of vinyl and CD’s. I love World music and my passion is to discover and share it. I did it 13 years through my music store, Saravá, in Puerto Rico. Since 1990 I have been producing world music radio programs (“Saravá en Concierto” – WORO; “Sarabanda” – WRTU; and “Tributo” – WVQR). I have produced and promoted concerts of international artists as Buika, Dúo Guardabarranco, Gema y Pavel, Ivette Cepeda, Muñequitos de Matanzas, Renee Fleming, María Pagés, Tomatito, Miguel Zenón, Chano Domínguez, among others. Discovering and sharing the music from my country and the planet is my contribution to understanding the value of diversity and dialogue above all differences. 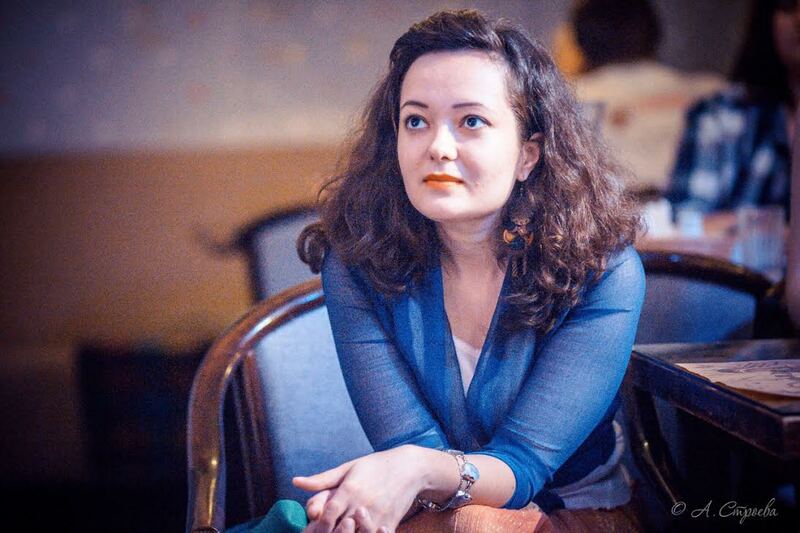 Daryana Antipova has been working as a journalist since 2001 and is involved in radio (Scythian horn program), print (The Moscow News, Fanograf, Izvestny) and online media related to world music. Drummer in Vedan Kolod folk band, director at Scythian horn agency and label. Her main focus is on traditional folk music, siberian music and Russian world music in general. Based in Tampere, the “alternative capital” or “Manchester” of Finland, Mika Kauhanen wears many hats. Having an M.A. 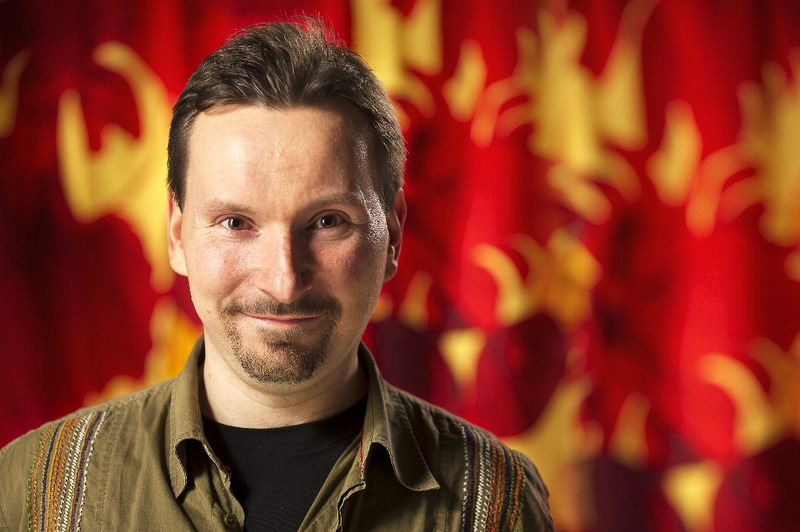 in ethnomusicology from the University of Helsinki, Mika has worked with folk/world music for 20 years now. Currently he hosts a weekly radio programme as well as contributes album reviews and playlists for the magazine published by Kepa, a platform for Finnish civil society organizations. Many world music people know Mika from his previous work at the Finnish Music Information Centre. She is undoubtedly one of the most influential music journalists in her country. 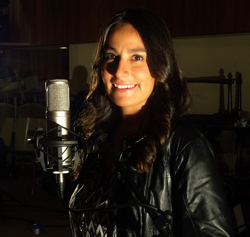 With more than 20 years of experience in radio and written media, Luisa has specialized in Colombian music, travelling throughout her country, visiting festivals, interviewing artists and maintaining a constant contact with the musical move. 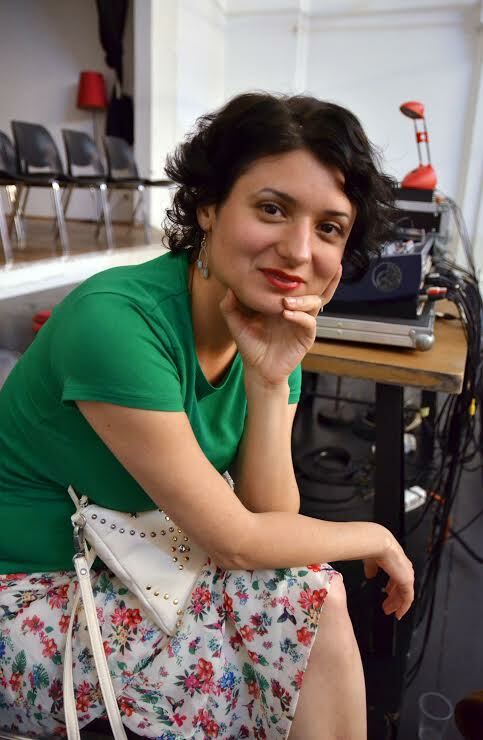 Luisa is one of the key actors in musical journalism with her talent, ear, sensitivity and knowledge. She has significantly contributed to the growth of the music sector in Colombia. Additionally, Luisa is a music lover and collector of all types of music; one of her main hobbies is to watch live music. She plays guacharaca and drums. 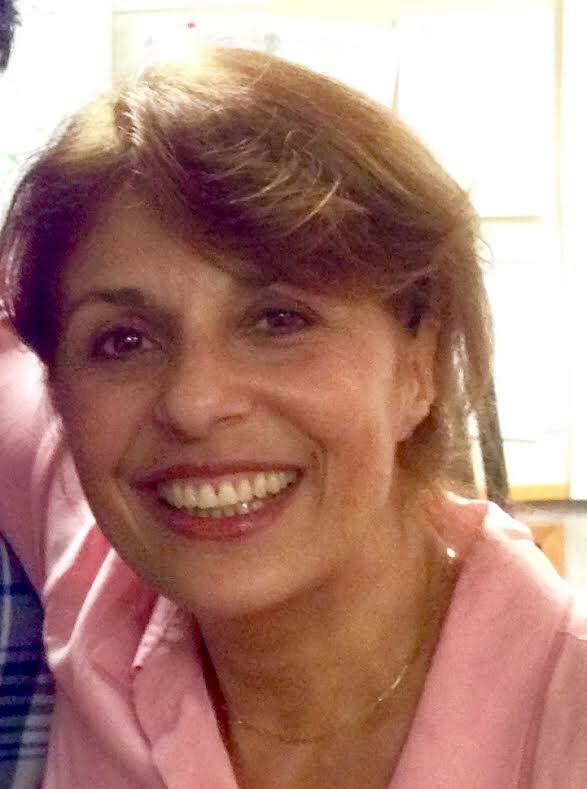 Toni Pennacchia is the Creative Director of MergingArts Productions. Her love of film and music began while working in the AV department of the library. 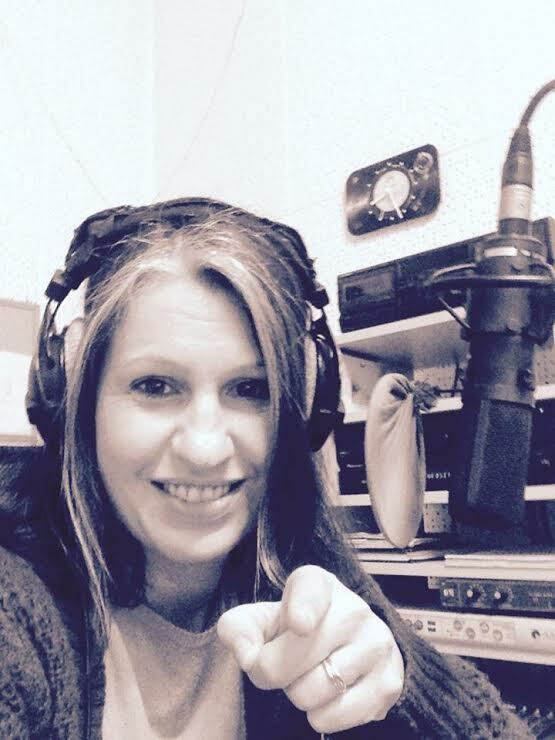 She has over twenty years of radio experience in southern New England, both as a DJ and director for genres including folk, world, electronic, and blues. Currently, as DJ Madame B, she broadcasts weekly on WZBC 90.3 FM in Boston, with the show Transworld Airwaves, a cross-cultural musical journey united in voices and rhythms. 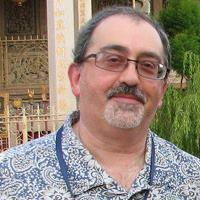 Toni is also WZBC World Music Director and charts to NACC and Roots Music Report. Other area stations she has contributed to in recent years include WRIU (Kingston, RI), WUMD (North Dartmouth, MA), and BSR (Providence, RI). Chen Hanzi (Teresa Chen), who joined Zhejiang Radio & TV Group Music Radio FM968 in 2005, is a producer, a presenter and a cultural journalist of the world music program “Hear the World”. “Hear the World” is one of the most long-standing programs of this radio station. It is also the only one world music radio program in mainland of China.